Tax-free holidays (sometimes referred to as "sales tax holidays") are great opportunities for shoppers to take advantage on items such as clothing, school supplies, shoes, and other savings. You don't have to live in these states to take advantage of their tax-free weekends either, simply visit the state to do your shopping and you won't have to pay sales tax on those items as long as they are eligible under the state's tax-free shopping guidelines. Each state that participates in tax-free holidays has different rules and exclusions. Be sure to use the links to read the details on your state's tax-free shopping details. Below you will find 16 states that have tax free holidays. Hover over each orange state to see the current sales tax rates and all the sales tax holidays. Alabama (July 20-22, 2018): Shop during Alabama's tax-free weekend and you'll not have to pay taxes on certain school supplies, computers, books, and clothing. Click the link to see the list of cities and counties that are participating in Alabama's tax-free weekend. Alabama also offered another tax-free holiday February 23-25, where you will not have to pay taxes on generators up to $1,000, and other weather preparedness items up to $60. Arkansas (August 4-5, 2018): If you shop in Arkansas you can get tax free shopping for the purchase of certain school supplies, art supplies, instructional materials, and clothing. Connecticut (August 19-25, 2018): Connecticut shoppers will get a whole week of tax-free shopping on an up to $300 purchase of clothing or footwear. Florida (August 3-5, 2018): Florida's tax-free weekend is good on certain clothing less than $60 per item, and certain school supplies that cost less than $15 per item. Here's a list of the exempt items for this year. Florida also offered another tax-free holiday June 1-7, where you would pay no taxes on generators up to $750, radios and plastic sheeting up to $50, batteries and coolers up to $30, and other items. Iowa (August 3-4, 2018): Iowa also has a tax free weekend that's good on clothing or footwear with a value of less than $100 per item. 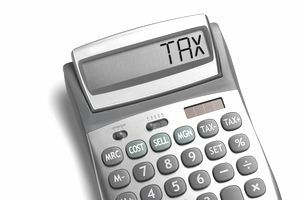 Here's a complete list of Iowa's exempt items for their tax holiday. Maryland (August 12-18, 2018): Maryland has a whole week of tax-free shopping where you can buy apparel and footwear less than $100 and not pay taxes. They've also recently added an exception of taxes off the first $40 of a backpack. Maryland also had another tax-free holiday February 17-19 for energy star items with no cap. Mississippi (July 27-28, 2018): Mississippi will have a tax free shopping weekend where you can shop tax free on certain clothing and footwear items that cost less than $100 per item. Mississippi also had another tax-free holiday August 31-September 2 on firearms, ammunition, and hunting supplies with no cap. Missouri (August 3-5, 2018): You'll be able to shop tax-free in Missouri on certain items such as clothing (any item having a taxable value of $100 or less), school supplies (not to exceed $50), computers (Less than $1,500), computer software (total of $350 or less), computer peripheral devices (not to exceed $1,500), and graphing calculators (less than $150). Note that certain counties and cities are opting out this year. Missouri also had another tax-free holiday April 19-25 for energy star items with no cap. New Mexico (August 3-5, 2018): New Mexico's annual tax-free shopping weekend means you won't need to pay taxes on clothing, shoes, computers, computer equipment or school supplies up to a certain dollar amount. New Mexico also has another tax-free holiday on November 24 for business items up to $500. Ohio (August 3-5, 2018): During the free tax weekend in Ohio, clothing items priced at $75 or less, school supplies priced at $20 or less, and school instructional materials priced at $20 or less, are all tax exempt. Oklahoma (August 3-5, 2018): There's tax-free weekend in Oklahoma on clothing and shoes that are under $100. South Carolina (August 3-5, 2018): You'll be able to go tax-free shopping in South Carolina on clothing, clothing accessories, footwear, school supplies, computers, and linens. Here's a complete list of exempt items for South Carolina. Tennessee (July 27-29, 2018): The tax-free weekend in Tennessee will let your purchase clothing $100 or less, school supplies and school art supplies $100 or less, and computers $1,500 or less, without having to pay sales tax. Texas (August 10-12, 2018): There's also tax-free shopping in Texas which exempts taxes on clothing, footwear, school supplies, and backpacks priced less than $100. Texas also had other tax-free holidays on April 28-30 (generators up to $3,000, and hurricane shutters and emergency ladders up to $300) and May 26-28 (air conditioners up to $6,000, refrigerators up to $2,000, and other water-conserving products without a cap). Virginia (August 3-5, 2018): This tax-free weekend in Virginia will let you save on school supplies that cost less than $20 per item and clothing and footwear that cost less than $100 per item. Wisconsin (August 1-5, 2018): Items that aren't taxable during Wisconsin's tax holiday are clothing (single items that are $75 or less), computers ($750 or less), school computer supplies (less than $250 for a single item), and school supplies (single item less than $75).